Cambium Networks, a leading global provider of wireless networking solutions, and Minerva, value added distributor to the MEA, Pakistan and Afghanistan market joined forces to showcase broadband solutions for the information and communication business community in Pakistan. 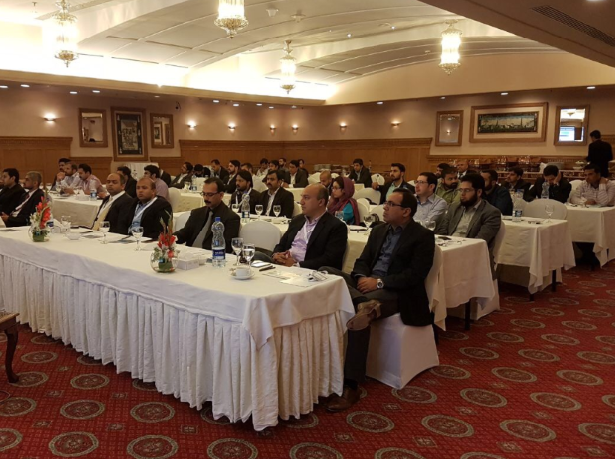 The first event was held on the 28th March at the Marriott Hotel, Islamabad and was attended by over 50 delegates representing major players in the ICT sector. Cambium Networks Regional Sales Director for Middle East and Pakistan, Amin Yousif introduced attendees to the latest broadband technology being offered by Cambium Networks. This included an overview on ePMP, ePMP elevate, Cambium Networks core portfolio products, cnMedusa and PTP650 which were presented to the attendees. Live sessions on link planner were also performed by Sajid Khan, Technical Engineer for Minerva and approved Cambium Networks Trainer. While Zubair Ahmed, Business Development Manager for Minerva discussed topics related to our services and role as a value-added distributor. The second event was held at the Pearl Continental Hotel in Karachi on 30th March, this also received an equally overwhelming reception. Both events attracted a vast array of representatives from the Pakistan ICT business sector with representation from local, regional, and national organisations. The willingness of attendees to travel from near and far greatly encouraged Cambium Networks. Minerva and Cambium Networks are working together to help support and grow business relationships with the Pakistan market. The next roadshow will be held in Lahore in July 2017. Visit www.minerva.ae to stay updated with our latest events.